While many expected the Mumbai Indians to go all the way last season, the fact that they failed to qualify for the playoffs became one of the major talking points of the 2018 IPL. In spite of having a star-studded squad, they finished fifth on the points table with 12 points in 14 matches. Having acquired the services of players like Quinton de Kock, Yuvraj Singh and Lasith Malinga in this year's auction, they look more formidable on paper this season. Rohit Sharma's men will begin their IPL 2019 campaign against the Delhi Capitals in front of their roaring fans at the Wankhede Stadium on March 24. Let us now look at three young players who will be key to Mumbai's success this season. 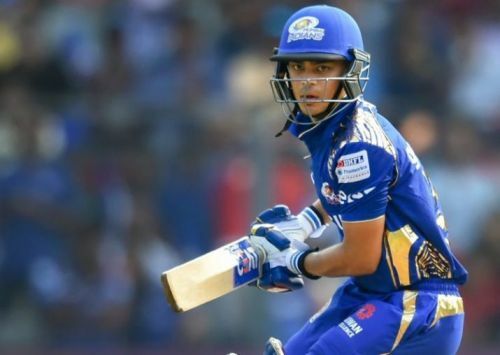 Ishan Kishan rose to prominence after guiding the Indian colts to a runners-up finish at the 2016 ICC Under 19 Cricket World Cup in Bangladesh. Kishan's boys lost to a spirited West Indies side by five wickets in a thrilling finale at Dhaka. The 20-year-old who holds the record for the highest individual score by a Jharkhand player in Ranji Trophy (273 runs), and made his IPL debut during the 2016 season for the now-defunct Gujarat Lions after being bought for INR 35 lakh during the auction. In the two seasons he played for the Rajkot-based franchise led by Suresh Raina, Kishan managed 319 runs. Upon Gujarat Lions' termination from the IPL, he moved to Mumbai Indians for a whopping INR 6.2 crore during the 2018 auction. The southpaw was a part of the Mumbai Indians XI for all the 14 league matches during season 11 and was their first choice wicket-keeper. Kishan, who took nine catches apart from effecting two stumpings during the 2018 IPL, had a mediocre stint with the bat. He amassed 275 runs at a strike-rate of 149.45 including two half-centuries (highest score being 62). Nevertheless, his big-hitting abilities and potential to play against the top players of world cricket make this youngster a key member in the Mumbai Indians' line-up. The talented wicket-keeper batsman will be aiming to make it big both with the willow as well as behind the stumps this season.